Excerpt: It was a surreal feeling, to be driving into town in Chase’s old pickup, his brother’s old cowboy hat on the dash. He hadn’t had the heart to remove it, despite the pang of loss that shot through him each time he glanced to the right and saw it sitting there. Conner had asked him if he could move it, but Asher had shaken his head and said “Not yet,” grateful that his boyfriend had left it at that. The radio was still set to country, something Conner was getting used to and Asher was discovering how much he’d missed. The volume was on low so they could talk and Conner wouldn’t have to yell at him each time he wanted Asher to pull over. It was amusing how often that was, but Asher discovered he didn’t mind. The things he could drive past without noticing drew Conner’s photographic eye and Asher found himself learning to appreciate them in a whole other way as Conner patiently explained lighting and shadows and f-stops to him. Conner had even offered to let him take a few photos to see how he liked it, but Asher had been too afraid of damaging the camera to accept. Such a small thing in his rough, fighter’s hands; he’d scoffed and told Conner he’d leave the picture taking to him. Besides, the vision in his right eye wasn’t the greatest; too much damage over the years from fists trying to cave in the side of his face, or the cage gouging at the skin around it. He doubted he’d be able to capture anything like the amazing images Conner delighted in showing him night after night. He was happy to see Conner happy and settling in so well, though he was pretty sure today was going to be a bit of a challenge for him. They were on their way to a swap meet and livestock auction; a horse trailer was attached to the back of the truck and cages were in the truck bed, and a carefully drawn up list he and Morgan had spent hours compiling was tucked safely in his pocket. “Oh, wow…” Conner breathed, voice low, but filled with the excited edge Asher had gotten used to. Without even looking to see what Conner had spotted, he began to pull over, bringing the truck to rest on the crest of road beside the ditch. Conner leaned out the window, the shutter rapidly going off while Asher sat wondering why he hadn’t gotten out. It took a moment before Asher saw what had captured Conner’s attention: a flock of turkeys grazing in a recently harvested field. Asher watched as one of the birds shook itself and then opened its large tail feathers, giving Conner a gorgeous shot of its plumage. When he was done, Conner turned back toward Asher, a smile of wonder on his face, and it was enough to make Asher’s stomach flutter, ’cause damn, his boyfriend was gorgeous and he was feeling pretty lucky as Conner reached out and guided a lock of hair back from his face. “Thank you,” Conner murmured, then leaned forward, brushing his lips across Asher’s. Asher slid his hand into Conner’s hair and deepened the kiss, not pulling back until both of them were breathless and gazing at one another with desire. Conner beamed, and Asher wished they could just cuddle up on the front seat of the van the way they cuddled in bed at night, taking turns being the big and little spoons, talking each other’s ears off until one of them fell asleep. 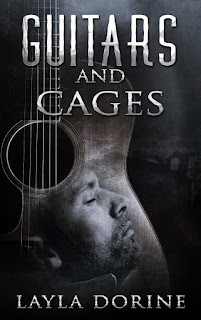 He’d found a contentment he’d never thought possible in the short time they’d been together, and he felt as if he owed it all to Conner for accepting him, flaws and all. “We’d better get going,” he said at last, reluctant, but knowing that he and Conner had a lot of things they needed to accomplish that day. For a while they drove in silence, Asher humming along with the radio, the fall wind ruffling his hair through the open windows. 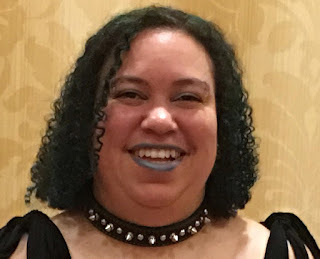 Guest post: Hi Aimee, thank you so much for having me on your blog today. 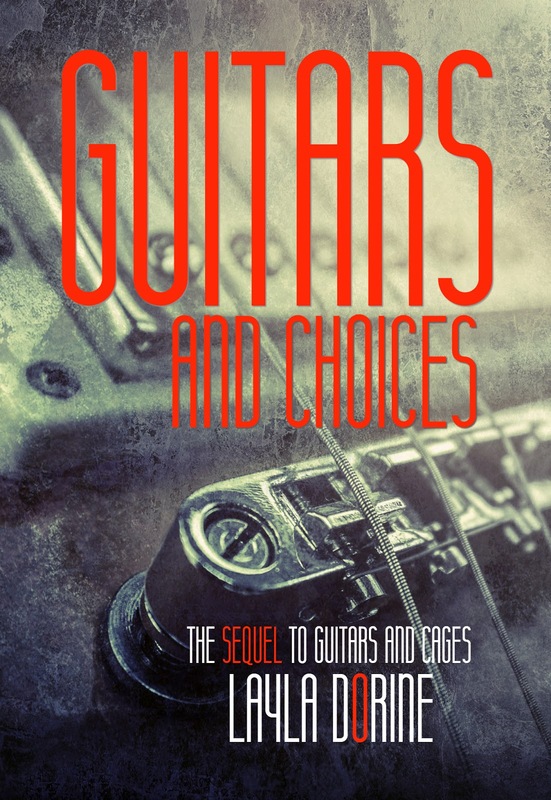 I’m so excited to see Guitars and Cages back in print alongside the newly released sequel Guitars and Choices. Obviously, from the titles of the books, music plays an important part in the story and in the character’s lives. For Asher, it was always something he loved, a talent he was good at, though the damage he’s done to his hands over the years has now made it very difficult for him to play at the level he once did. Because of that, he’s at a point where he rarely plays anymore, and yet the guitars is always there, a link to happier moments. There is a light about him when he plays, like he’s opening up and revealing a part of himself that he normally wouldn’t and that is one of the many reasons why Alexia and Morgan wish he’d do it more, because Conner has never seen it, and wants to understand that part of himself that Asher’s sort of put away. 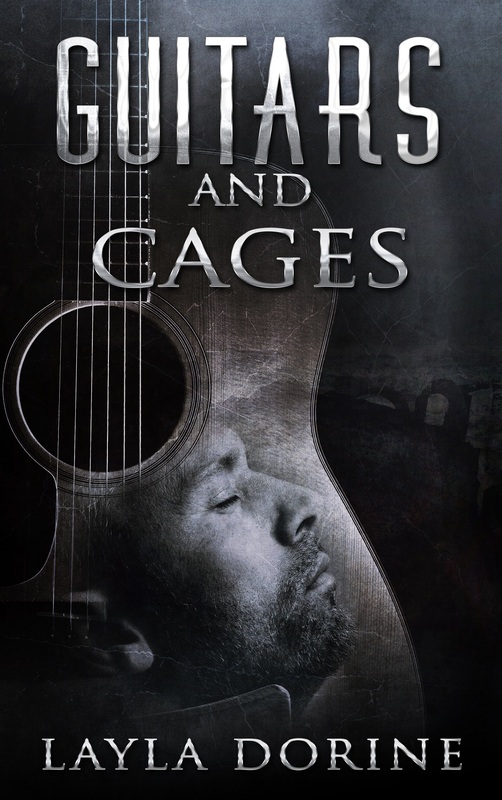 Asher’s love of music has always been a direct reflection of my own and over the course of writing the novels, I’ve ended up with several playlists that sort of show the evolution of the characters. From the more angsty Nine Inch Nails and Zakk Wylde songs, to some of the more mellow, blusy John Moreland, the wide range of music shows the peaks and valleys of Asher’s life. He’s very much a complex character, with complex emotions, who more often than not, just wants to be accepted even if the things he’s got to do to earn praise and attention hurt him in the end. His journey is like a well-balanced rock and roll album, with its anthems and swan songs, it’s ballads and its brutally paced melodies. I hope readers will enjoy the ride as much as I continue to have in writing it. 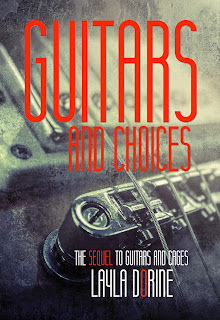 Guitars and Choices is by no means the end, we’re just going to be mixing things up a bit in book 3, Guitars and Canvases, and adding a bit more of Alexia’s tastes to the playlist.